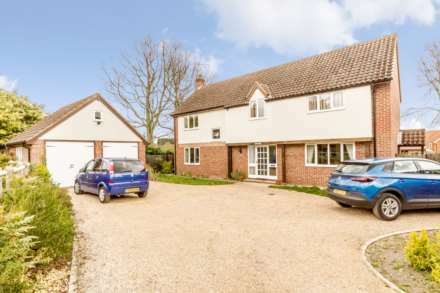 Situated in the popular village of Marham with church views to the front, Longsons are delighted to bring to the market this very well presented detached three bedroom house. The property boasts kitchen/dining room, UPVC double glazing and allocated parking for two cars. Briefly the property offers entrance hall, lounge, kitchen/dining room, cloakroom with WC, three bedrooms, bathroom, garden, allocated parking for two vehicles, oil central heating and UPVC double glazing. 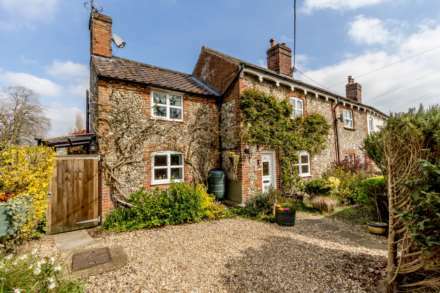 Situated in the heart of West Norfolk lies the village of Marham. The village has various amenities including a regular bus service. general store with Post Office, preschool group, primary and junior school, doctors surgery and dispensary and a bowls club. Composite entrance door to front with UPVC double glazed window to side, stairs to first floor, UPVC double glazed entrance door opening to rear garden, under stairs storage cupboard. Patio doors opening to rear garden, UPVC double glazed window to front, radiator. Wash basin, WC, heated towel rail, extractor fan. UPVC double glazed windows to front and rear, built in cupboard housing hot water cylinder, loft access. UPVC double glazed window to front with church views, radiator. Bathroom suite comprising bath with mixer shower over and shower screen, wash basin set within fitted cabinet, WC, tiled splashback, UPVC obscure glass double glazed window to rear, extractor fan, radiator. Small front garden laid to low maintenance shingle, paved path to front door. Enclosed rear garden laid to lawn, paved patio seating area, wooden garden shed, shrubs to borders, gated access to rear parking area with two allocated parking spaces.